Al served twenty four years in the RN 1924 - 1948 and had two two year periods on HMS Rodney 30-32 & 36-38; one of two Nelson class battleships. Downey is listed as serving on/with "Queen Elizabeth" 1933-1936 No ship of that name found for those dates!! 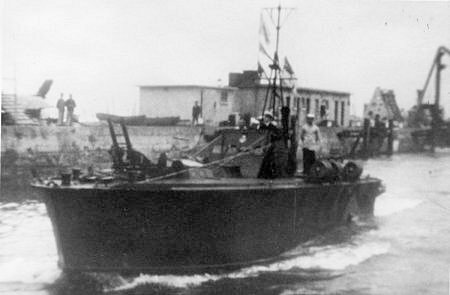 Downey also served on the Insect class river gunboat HMS Scarab Nov 1927 - Apr 1929 at (Y)Iching. 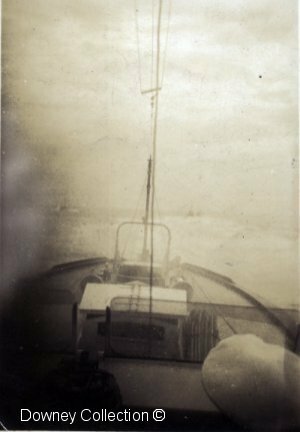 When the escape party started swimming out to the MTB's it was necessary to send a skiff across to Aberdeen Island (Now Ap Lei Pai) to pick up Adm Chan Chak who not only had one leg but was also shot in the arm. Len made three trips to the tombolo ajoing Ap Lei Pai. Firstly picking up MacDougall and Ross, then along with Hsu Heng (Henry) and Yeung Chuen to pick up the wounded Adm. Not finding him where Henry had left him they returned to get more men. Cdr Yorath and Bill Robinson then joined them and they made the trip again this time locating the Adm by whistling. He had somehow climbed up the slope after hearing the sniper taking pot shots at MacDougall and Ross earlier. Cmdr Yorath: "The Adm was practically at the top of the hill, although it was a difficult climb. I think he must have gone up there to die - Chinese like having their graves on hillsides. We lugged him down and got him in the boat. He must have suffered agonies. As we rowed back, he sat facing me in the stern and crossed himself which rather surprised me.". After 3000 miles traveling overland through China and Burma he arrived in a deserted Rangoon. There he joined Lt Kennedy along with Bill Dyer on the Burmese Minesweeper Somagyi. 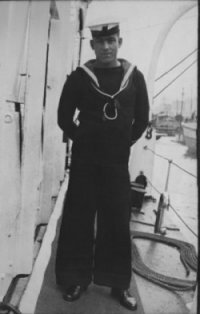 Al Downey joined the Royal Navy on his eighteenth birthday in 1925 after earning a living as an Errand Boy in Devonport. In March 1938 he was stationed at HMS Vernon with MTB's for six months prior to joining HMS Tamar [MTB 11] in September 1938. Al along with the eight other remaining ratings in Akyab eventually left Bombay on 14th April and arrived back in the UK 1st June 1942. 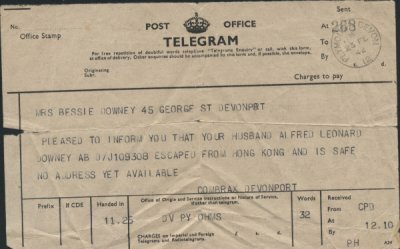 Al Downey was mentioned in Lt Kennedy's self published book "Hong Kong Full Circle 1939-45 " covering the battle for Hong Kong and subsequent escape. In June 1943 Al was promoted to Acting Petty Officer while serving on M. L. 490 and met up with Lt Kennedy again when he was posted to Fort William. Downey was awarded the D.S.M in June 1945 when took command after his Commanding Officer was shot while serving on ML 196 in the D Day landings at Gold Beach, Normandy. He retired from the R. N. as a Petty Officer after 22 years service in 1948 and joined H. M. Customs, as a launch skipper for twenty years before retiring to Totnes in Devon where he died aged 71. C.P.O. Gilbert Thums, P.O. Charlie Moore, A/B Downey, & Cox P.O. Prest in Kukong. MTB 10 on patrol with the flotilla. Stoker A/B Abertl Downey, Cox P.O. Jixer Prest, & ?? arrive in Shaoguan (Kukong) 6th January 1942.